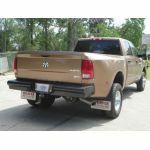 The Frontier Gear Rear Bumper comes with a black powder coat finish. It does come with install hardware. It also comes with a 1 year MFG warranty. This bumper is built to work with the OE tow hitch. 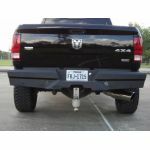 It will not work without a factory tow hitch or with an aftermarket hitch. 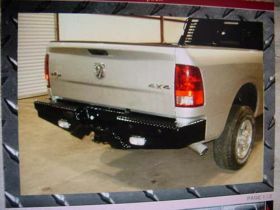 Most applications will accommodate the factory park assist sensors.